We tried to enjoy what snow we had. That meant traveling to snow. We tried to utilize our free lift passes and buy one, get one free deals that we had. Poor Biker Boy, he had 2 free tickets to a closer place that he never got to use because they never opened this winter. Oh well. 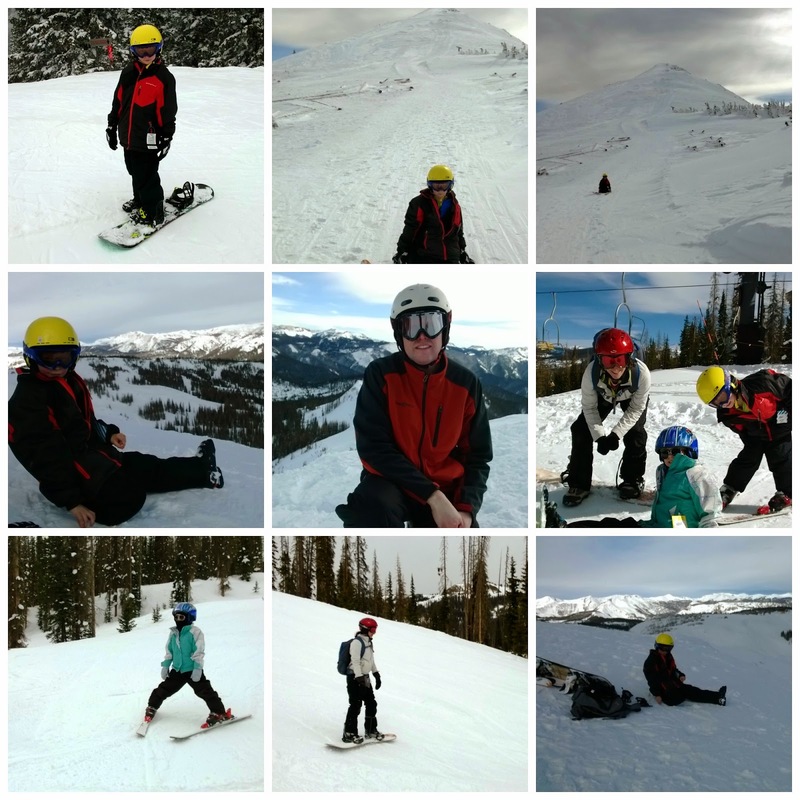 Here's some photos from a few of our winter excursions. I'm so behind on everything and I haven't posted here in a bit, so this is it for now. Chewy has taken to the snowboard pretty well. 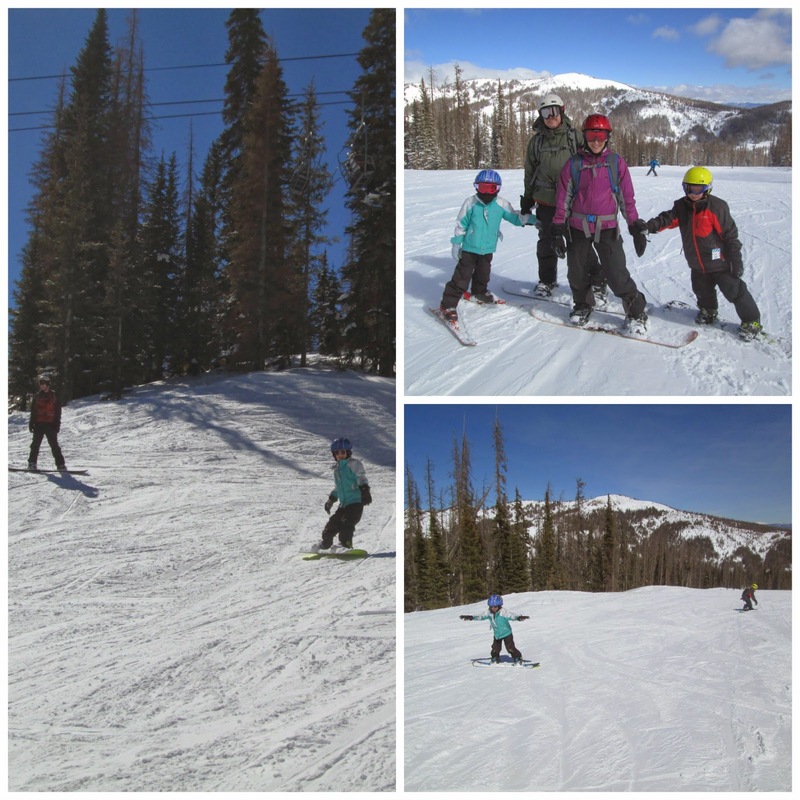 The kids have to share a pair of skis, so someone has to use a snowboard while the other is skiing. They each have a snowboard. 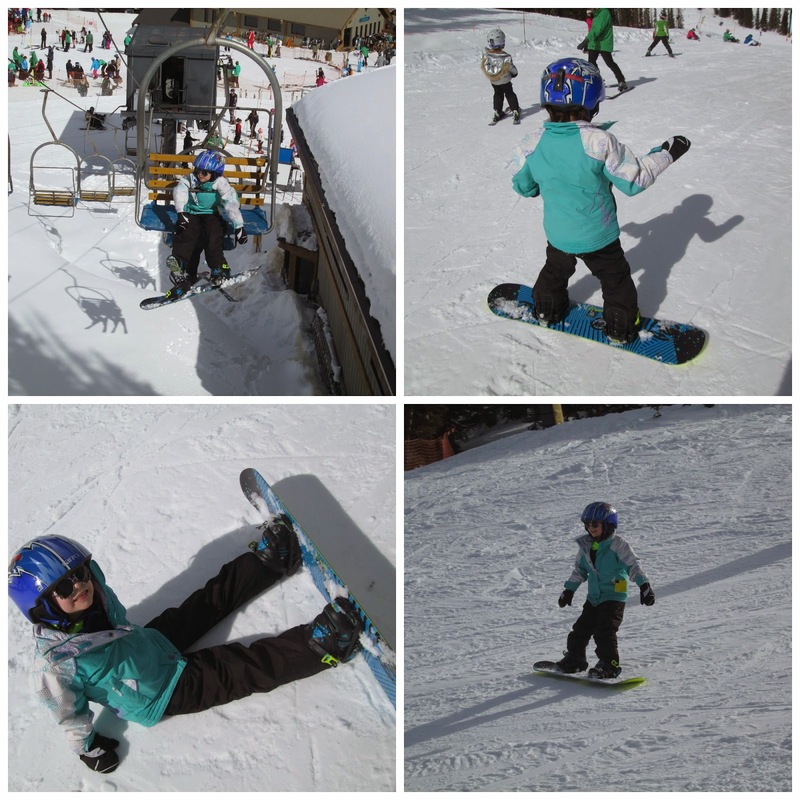 Chewy has progressed to doing the lifts on her snowboard and can heel edge down the hill like a pro. She's been trying to learn her toe edge and doing a few turns. Scooter will do turns when no one is looking. He's a pro on his heel edge too and will go down stuff I won't. Scooter will hike up the big peaks with Biker Boy and then they drop down the black diamonds and go in the woods. I won't do that. Chewy's not quite that advanced yet, so she'll hang with me and beat me down the hill. Actually, both kids are faster than me now. Everyone is waiting for mommy at the lift. We may be done boarding for the winter. Soccer practice starts this week. We are now officially soccer parents and I'm an assistant coach. I won't rant about how I feel about it. Because in front of the kids I'm officially enthusiastic and excited! It's going to be so much fun! They each have new cleats....oh boy! And one has a game in the morning and one in the afternoon. Care to guess where all my Saturdays will be spent? Plus 2 evenings a week. On unfamiliar territory. But in a mommy voice....."This is going to be so much fun!" And it will be...once I get in there with the kids. The adult part of it...not so fun...(which reminds me I need to finish my online training before tomorrow). My lack of enthusiasm is probably due to the fact that I just don't have a passion for soccer. Sorry, I don't. I don't get it. But probably in the same way that someone else doesn't get why I can swim back and forth in a pool and love it.